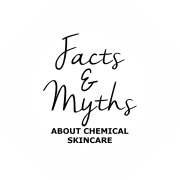 We know you care about the ingredients in your skincare, because at Mother Earth Aromatherapy we really do care about the contents of our products too! We source only the freshest and most natural essential oils, vegetable and nut oils, herbal and floral infusions, fresh rainwater, herbal extracts and raw materials respectfully taken from nature to create this luxurious range for you. You will also find ingredients for each product listed in their individual descriptions. If you have any questions, please feel free to contact us! ​Physical Body / Skin – Antiseptic, antispasmodic, restorative, stimulant. Useful for the treatment of irritable skin, cooling herb. Emotional / Spiritual Body - Sacred Joy Oil. Powerful anti depressant. Promotes deep feelings of freshness & joy, lifting energy in cases of sadness & depression. Reduces stress levels & decreases anxiety. ​Physical Body / Skin - Analgesic, antiseptic, antibiotic. Useful for the treatment of oily skin, a natural balancer & disinfectant. Known as a photo toxic oil, therefore avoid direct sun exposure after application. Emotional / Spiritual Body – Protection Oil. Sharpens mental faculties, bolsters courage, strength & bravery. Black Pepper increases sharpness of thought, awakens & motivates the mind. ​Physical Body / Skin – Analgesic, expectorant, stimulant. Useful for the treatment of aching muscles, improving circulation & physical stamina. Emotional / Spiritual Body – Inner Strength Oil. Shifting the past & allowing to let go & move forward with strength & fortitude. Cedarwood grounds, calms & combats negativity, which in turn, relieves anxiety & nervous tension. ​Physical Body / Skin – Antiseptic, regenerative, sedative. Useful for the treatment of acne & oily skin conditions. Effective tonic for bronchitis /coughs. Emotional / Spiritual Body - Sacred Sedating Oil. Powerful sedative & nerve tonic. Promotes deep feeling of peace & relaxation of the body, useful in treating shock. Reduces stress levels & decreases feelings of anxiety, invites in understanding & cooperation. ​Physical Body / Skin - A powerful healing oil. Analgesic, antiseptic, antibiotic, anti-inflammatory, ant-infectious. Useful for the treatment of problem skin, acne, scaring & blemished. Emotional / Spiritual Body - Sacred Sedating Oil. Powerful sedative & nerve tonic. Promotes deep feeling of peace & relaxation of the body, useful in the treatment of shock. Reduces stress levels & decreases feelings of anxiety, invites in understanding & cooperation. ​Physical Body / Skin - A powerful healing oil. Anti-inflammatory, antibacterial, analgesic. Strengthening & soothing to scar tissue. Excellent for the treatment of cuts & abrasions, scarring, burns, acne scarring, broken capillaries & sensitive/disturbed skin. Emotional / Spiritual Body - Inner Freedom Oil. Calms & soothes nervous tension & stress. Encourages strength, courage & confidence. Invites in love energy, from the highest realms. ​Physical Body / Skin - Stimulant, improves poor circulation & strengthens the immune system. Emotional / Spiritual Body - Euphoric Oil. Frees the emotions, alleviates worries & enhances creativity. ​Physical Body / Skin - Cell regenerator, promoting the growth of healthy cells. Excellent for ageing, hormonal, mature skin. A very antiseptic tonic. Emotional / Spiritual Body - Inner Warmth Oil. Warming to the body, mind & spirit. Invites in inspiration, confidence, the courage to move beyond limitations, trust & inner warmth. ​Physical Body / Skin - Nourishing & warming to the skin. Anti-oxidant, antiseptic, antiviral & analgesic. Effective for the treatment of arthritis. Has also been known to strengthen the immune system. Emotional / Spiritual Body - Purification Oil. Purifies & cleanses the spirit. ​Physical Body / Skin - Astringent & antiseptic, useful in the treatment of oily skin, detoxifying. Revitalizes the skin & prevents moisture loss. Emotional / Spiritual Body – Awakening Oil. Awakens the spirit to the healer within. Eucalyptus, soothes the mind & enables clarity of thoughts & positive visions of the future. Encourages emotional balance & increases concentration. ​Physical Body / Skin – Anti-infectious, antiseptic, expectorant, antibacterial. Useful for the treatment of colds & flu’s, respiratory problems, sinus & allergies. The most powerful form of natural medicine ever, fantastic as an air cleanser. Emotional / Spiritual Body - Feel Good Oil. Enhances feelings of being womanly & nurturing of the self. ​Physical Body / Skin - Nourishing, nurturing & moisturising to the skin. Emotional / Spiritual Body - Higher Consciousness Oil. Connects with higher self, inviting in courage & strength. Creates a soothing & elevating effect to the mind, excellent to use whilst meditating, frees the spirit. ​Physical Body / Skin - Aids in the prevention of fine lines, excellent in the treatment of damaged skin. Gives new life to ageing skin. Stimulant. Emotional / Spiritual Body - Balancing Oil. Balances emotions, soothes & dispels negative energy. Shifts nervous tension, antidepressant. Physical Body / Skin - Promotes the growth of healthy cells, cell regenerator. Useful for ageing mature skin & congested skin. Excellent for the treatment of broken capillaries. Hormonal balancer. Emotional / Spiritual Body – Courage Oil. Evokes feelings of valour & courage, bringing assistance to the faint-hearted & the weak, giving a sense of being capable & strong enough to carry on, regardless. Ginger encourages warmth, empathy& optimism. ​Physical Body / Skin – Carminative, analgesic, stimulant. Useful in the treatment of easing nausea & motion sickness. Emotional / Spiritual Body - Purifying Oil. Soothing to the mind. Creates new energy, cleansing away the old & bringing forth the new, positivity & confidence. ​Physical Body / Skin - Toxic elimination. Cleansing & purifying. Great for treating cellulite. Antiseptic. Emotional / Spiritual Body – Oil of enlightenment. Eliminates mental stress & invites spiritual growth and enlightenment. Enhances intuition, calms & opens the heart, assisting to heal emotional wounds. ​Physical Body / Skin – Anti inflammatory, antibacterial & detoxifier. Assists to improve circulation, reduces inflammation & heat. A powerful calming oil, soothing irritated skin. Emotional / Spiritual Body - Inspiration Oil. Promotes a feeling of inspiration & joy. Uplifts the spirit & alleviates depression. Dispels negative beliefs, fatigue, irritability & apathy. ​Physical Body / Skin - Antiseptic, excellent for sensitive areas. Stimulant, promotes the growth of healthy cells. Rich rejuvenator & moisturiser. Emotional / Spiritual Body - Cleansing & Clearing Oil. Helps to rid of emotional issues, cleansing & clearing to the spirit. Also may assist with memory loss. ​Physical Body / Skin - Tonic for congested skin & blocked pores. Can be useful for the treatment of oily complexions & acne. Emotional / Spiritual Body - Calming & Healing Oil. Soothes & calms the body, mind & spirit. Alleviates stress, tension & assists with insomnia, creating a peaceful space. ​Physical Body / Skin - Antiseptic & antibacterial. Cleansing, calming & healing, excellent in the treatment of blemished, oily & problem skin. Evens out skin tone, assists in smoothing fine lines. Anti-ageing qualities. Emotional / Spiritual Body - Calming & Healing Oil. Soothes & calms the body, mind & spirit. Alleviates stress, tension & assists with insomnia, creating a peaceful & relaxed space. ​Physical Body / Skin - Cellular regeneration & rejuvenation. Healing, antiseptic, antibacterial. The wound healer. Excellent for problem skin, evens skin tone. A natural sedative. ​Physical Body / Skin - Antiseptic & astringent. Revitalizing & cleansing to the skin, helpful in treatment of oily & blemished skin. Improves skin elasticity, poor circulation & blood flow. Emotional / Spiritual Body - Oil of letting go. Clears regrets and shame, encourages forgiveness. Creates a space of clarity and allows recognition of freedom of choice. ​Physical Body / Skin - Astringent deodorant, Antiseptic & antibacterial. Excellent for the treatment of infection, a skin tonic. A stimulant, uplifting to dull skin. Emotional / Spiritual Body - A de-stress Oil. Cooling & refreshing to the spirit increasing positive energy. Overcomes feelings of apathy & disinterest. Sharpens concentration. ​Physical Body / Skin - Restorative skin deodoriser. Uplifting qualities, assists with the reduction of puffiness, softening the skin. ​Physical Body / Skin - Antiseptic & restorative tonic. Contains a rich supply of vitamins and minerals and D-limonene, a powerful antioxidant. Invigorates uplifts and refreshes dull and tired skin. Emotional / Spiritual Body - Feel Good Oil. Enhances feelings of being womanly & nurturing yourself. ​Physical Body / Skin - Nourishes & nurtures the skin. Emotional / Spiritual Body - Tranquillity Oil. Creates a tranquil state of mind, promotes cheerfulness. Eases irritability & nervous tension, uplifting & inspiring. Soothes the spirit. ​Physical Body / Skin - Decongestant, toning, clarifying & decongesting effect on skin. Excellent for the treatment of dry skin conditions, blemished, scaring & problem skin. Emotional / Spiritual Body – Calms the senses & allows stillness. With its warmth, comes a deeply centred state of peace. Physical Body / Skin – Antibacterial, Analgesic & Antifungal. Fabulous for muscular aches and pains, stiffness, joint pain, sprains & strains. Relieves pain & revitalises sore tired bodies. Emotional / Spiritual Body – Soul Rejuvenation Oil. Encourages the soul to remain shiny, clean & clear. May Chang instils a state of clarity, disposing of negative emotions & thought patterns, replacing them with healthy & content thoughts towards yourself & others. ​Physical Body / Skin – Antiseptic, deodoriser, astringent, anti-viral. Useful for the treatment of oily skin, acne & blemishes. Very effective for excessive sweating. Emotional / Spiritual Body - Sedating Oil. Sedates the nervous system, excellent in the treatment of shock, calms & quietens the spirit, aiding in stress relief. Clears & focuses the mind. ​Physical Body / Skin - Stimulant, uplifting to the skin. Antibacterial, excellent for bacterial infection. Emotional / Spiritual Body – Light Oil. Encourages purity & self recognition, creating the ability to heal old wounds & move forward gently, easily & lovingly. Neroli promotes light, lifts sorrow, darkness & depression & fills the soul with joy. ​Physical Body / Skin – Anti-infectious, calmative, sedative. Effective for stimulating the growth of healthy cells, alleviates insomnia, a powerful nerve tonic. Emotional / Spiritual Body - Happiness Oil. Joyful communications, confidence builder, energizes the mind. Refreshing & uplifting. Alleviates depression, enhances positive moods. ​Physical Body / Skin - Tones & opens pores, softens & uplifts hardened skin. Invigorates refreshes & uplifts skin. Emotional / Spiritual Body - Feel Good Oil. Enhances feelings of being womanly & nurturing self. ​Physical Body / Skin - Excellent skin tonic, enhances & uplifts the complexion. Emotional / Spiritual Body – Protect & Purify Oil. Wards off negativity & brings about feelings of peacefulness & safety. Oregano encourages warmth, inner sanctuary & joy. ​Physical Body / Skin – Antioxidant, antibacterial, restorative. Useful in the treatment of boosting the immune system & warding off infection. Supports a healthy digestive system & acts as a powerful cleanser & purifier. Emotional / Spiritual Body – Oil of love. Encourages self-love, allowing us to be kind & gentle with ourselves. Physical Body / Skin – Antiseptic, Antiviral, hydrating. Relieves inflammation, Soothes the skin assisting to retain moisture balance, keeping the skin soft and hydrated. Emotional / Spiritual Body - Grounding Oil. Brings the body ‘back down to earth’. Creates a warm, exotic & relaxed space. Relieves mild tension & anxiety. ​Physical Body / Skin - Anti-inflammatory, relaxes & soothes the muscles & stimulates the nervous system at the same time. Excellent for the treatment of inflamed, dry chapped, mature aged skin, extremely rich, hydrating & moisturising. Emotional / Spiritual Body - Purifying Oil. Self purification & cleansing on all levels, removing the old inviting in the new. Stimulates & soothes the body, mind & spirit. Immensely comforting for a distressed state of mind. ​Physical Body / Skin - Invigorates, stimulates, calms & cools the skin. Anti-inflammatory, antiseptic, antimicrobial & antiviral. Refreshes the body. Emotional / Spiritual Body - Warming Oil. Warms, comforts & opens the heart. Promotes feelings of inner peace. ​Physical Body / Skin - Stimulant, promotes healthy growth of epithelial cells. Excellent for the treatment of dry & chapped skin, antiseptic. Improves circulation & general well being to the body, stimulates & strengthens the immune system. Emotional / Spiritual Body - Uplifting Oil. Promotes strength, joy & self confidence. ​Physical Body / Skin - Stimulating & antiseptic oil, assists in the removal of blackheads, useful for oily & troubled skin, anti-infectious. ​Emotional / Spiritual Body – Acceptance Oil. Allows a deep state of acceptance towards ourselves, others, our lives, creating awareness & generosity of the spirit. Pine encourages humility, trust, self assurance & encouragement. ​Physical Body / Skin – Antiseptic, anti-infectious, anti-inflammatory. Useful in the treatment of eczema & psoriasis. Immune system booster, wards off fungal & viral infection, reduces inflammation. Emotional / Spiritual Body - Self Love Oil. The true nurturer of all oils, to inhale rose is to inhale pure love. Promotes self love & a sense of freedom. ​Physical Body / Skin - Nurturing & healing to all skin types. Stimulates & tightens the skin, known to reduce fine lines & heal blemishes. Excellent for sensitive areas & sensitive skins. Emotional / Spiritual Body - Nurturing Oil. Assisting to dissolve depression & creates a feeling of inner peacefulness. ​Physical Body / Skin - Excellent for chronic dry skin conditions such as, psoriasis, eczema, dermatitis. Excellent for the treating problem skin & acne, balances sebum, controls over production of oil, promoting even skin tone. Emotional / Spiritual Body - Longevity Oil. Clears the conscious mind, stimulates the senses. Improves & stimulates memory & concentration. Assists to alleviate nervous exhaustion & anxiety. ​Physical Body / Skin - A powerful analgesic oil, excellent for the treatment of pain relief. Antirheumatic, stimulates circulation & blood flow. Nerve tonic, calms & soothes the nervous system. Emotional / Spiritual Body – Self Love & Acceptance Oil. Calms & nurtures, promoting feelings of inner harmony & balance. Shifts worries. Rosewood heals inner doubts & fears, breaking down barriers & feelings of self criticism, allowing self love & acceptance. ​Physical Body / Skin – Antibacterial, antiseptic, nerve tonic. Balances & neutralizes the skins ph, assists with acne, dry skin & scar tissue, regenerative qualities. Useful for the treatment of boosting the immune system. Emotional / Spiritual Body - Grounding Oil. Grounds the body, mind & spirit, ‘back to earth, feet firmly planted on the ground’. Powerful sedative, relieves stress & tension, promotes a feeling of inner calmness & strength. Invites in insightfulness & inner direction. ​Physical Body / Skin - Antibacterial re-hydrating, prevents moisture loss. Excellent for the treatment of dry, chapped, mature & sun damaged skin. Emotional / Spiritual Body - Zest Oil. Uplifting & cooling, extremely beneficial in times of stress. Soothes away negativity, promotes a feeling of ‘cool & calm’. ​Physical Body / Skin - Calms & soothes sore, tired muscles. Anaesthetic & antispasmodic, stimulates & refreshes the body. Emotional / Spiritual Body – Acceptance & Change Oil. Creates a tranquil state of mind, promotes uplifting & happy thoughts. Supports us to embrace change with enthusiasm & grace. Tangerine instils confidence to obtain our new dreams & goals. ​Physical Body / Skin – Antiseptic, antispasmodic, anti-inflammatory, sedative. Effective in the treatment of fighting & preventing bacterial infection. Excellent for reducing & preventing stretch marks. Emotional / Spiritual Body - Purifying Oil. Revitalizes & refreshes, purifying old emotional issues, creating a fresh, cleansed space. Shifts negativity. Excellent for the treatment of shock. ​Physical Body / Skin - A powerful versatile healing oil. Antiseptic, antibacterial, antiviral, antifungal. Excellent for the treatment of cleansing infections, abrasions, blisters, athletes foot & tinea. Revitalizes sore tired feet. Emotional / Spiritual Body – Inner Strength Oil. Encourages soul support, bringing about alertness, clarity & warmth. Thyme instils a state of inner courage, confidence & tolerance, for ourselves during times of reconciliation, when we disrobe the outer shell of protection. ​Physical Body / Skin – Antioxidant, antiseptic, analgesic, anti-infectious, anti bacterial. One of the strongest anti oxidant oils, effective for detoxifying the body, supporting the immune system. Emotional / Spiritual Body - Sensual Warming Oil. Promotes a feeling of sensual comfort. Sweet & exotic , aphrodisiac properties, invites in warmth, security & contentedness into the being. ​Physical Body / Skin - Nourishing, warming & moisturising to the skin. ​Physical Body / Skin - Rich & rejuvenating. Nourishes & nurtures the skin. ​Physical Body / Skin - Nourishing & nurturing, useful in the treatment of dry skin conditions. Emotional / Spiritual Body - Aphrodisiac/Love Emotion Oil. Exotic aphrodisiac, promoting feelings of sensual awareness & passion, stimulates the senses. Relaxes the nervous system resulting in a feeling of joy. Increases self confidence. ​Physical Body / Skin - Balances sebum. Antiseptic & moisturising. Excellent for the treatment of inflamed skin, wards off infection. Extracted from the kernel of the Almond. A light & extremely versatile oil, easily absorbed by the skin. Rich in proteins, contains calcium, phosphorous & magnesium. Extracted from the kernel of the Apricot. Apricot is similar to Sweet Almond, a soothing light textured oil, which is easily absorbed by the skin. Rich in vitamins & minerals – A, B, C & E. Also contains antioxidant properties. Extracted from the white flesh of the coconut. A semi – solid saturated fat. Extremely rich, nourishing & moisturising to the skin. Contains essential fatty acids – oleic, linoleic & linolenic. Extracted from the kernel of the Hazelnut. A fine & light oil, containing a high amount of vitamins A, B & E, minerals & proteins. Excellent for all skin types, assisting with the restructuring of the skin, preventing dehydration. Deeply penetrating & an excellent base oil carrier, allowing essential oils to be easily carried to the bloodstream. Extracted from nut & flesh of the Macadamia. A nourishing & re-hydrating emollient, softening & restoring the skin. Rich in essential fatty acids - oleic, palmitoleic, linoleic, linolenic. Extracted from the flesh of olives. An extremely rich & moisturising oil containing essential fatty acids - 80% oleic acid & vitamins A, D, E & K. Excellent for dry & dehydrated skin. Extracted from the seed of the safflower. Rich in linleic acid (omega 6), also contains proteins, vitamins & minerals. An excellent base oil for the purpose of balancing oils in skincare preparations. Extracted from the sesame seed. A nourishing & warming base oil, rich in vitamins particularly Vitamin E, Lecithin, proteins & minerals. An extremely stable oil, beneficial for treatment of dry skin conditions. Extracted from the Soya bean. An excellent blending oil, perfect for massage & bathing. Rich in proteins, Vitamins particularly E & K & minerals. Extracted from the seeds of the sunflower. Highly rich in Vitamin E, containing more Vitamin E than any other vegetable oil. Also contains a high amount of unsaturated fatty acids plus vitamins A, B & D. Nourishing & healing to the skin. Extracted from the flesh of the Avocado. An extremely nourishing & rich oil, packed full of vitamins A, D, E & K. Also contains proteins, Lecithin & essential fatty acids. Avocado has great powers to penetrate the skin (more than any other vegetable oil). An invaluable moisturising oil, restoring, softening & healing the skin. Extracted from the petals of the calendula flower, prepared by an oil / flower infusion. Calendula oil holds strong antiseptic & antifungal properties. A rich healing oil aiding in the healing of damaged tissue, an excellent skin tonic. Extracted from the seeds of the carrot. A rich & penetrating healing oil, packed with large quantities of Vitamin A, B, C & Carotenes. Carrot oil is renowned for its anti-inflammatory effects, enhancing the healing ability of the skin & aiding in the reduction of inflammation & in fighting infection. Extracted from the seeds of the Evening Primrose. A soothing & healing oil with anti-inflammatory properties. Contains high levels of gamma linolenic acid, vitamins & minerals. Evening Primrose oil reduces water loss & improves the moisture content of the skin. An anti-ageing oil assisting to keep the skin supple. Extracted from the bean of the jojoba plant. A highly penetrating waxy substance that mimics collagen & absorbs into the skin in a similar way to sebum (our skins own natural oil). Contains proteins & minerals & enriched with Vitamin E. Jojoba has a balancing & softening effect on the skin, excellent for all skin types. Extracted from the hips (red berry - like fruit). An extremely nourishing & potent healing oil, renowned for its remarkable tissue regenerating & rejuvenating effects to the skin. Packed with a high concentration of vitamin C in the form of essential fatty acids. Rosehip has been proven to significantly slow down the ageing process. Derived from vegetables. A strong anti-oxidant substance that protects cells from free radical damage (free radicals attack healthy cells). Vitamin E is an essential, fat soluble nutrient, very healthy for the skin & for boosting the immune system. Also used in skincare to naturally preserve. Extracted from the germ of the wheat grain. A rich natural anti-oxidant oil extremely rich in Vitamin E, A & B plus essential fatty acids. Useful in the treatment of scar tissue, stretched & ageing skin. Also used in skincare to naturally preserve. A commercially dried flower head of the Calendula plant (Marigold). Calendula holds strong antiseptic & anti-fungal properties, excellent for dry skin conditions. A dried flower head of the chamomile plant. Chamomile holds anti-inflammatory properties, calming & soothing the skin. A ground powder & quills from the inner bark of the cinnamon plant. Cinnamon aids in stimulating circulation & contains warming antiseptic properties. A dried flower head of the Jasmine plant. Jasmine a sweet smelling fragrant flower holds antiseptic properties, stimulates the growth of healthy cells, excellent for sensitive areas. A dried flower head from the Lavender herb plant. Lavender holds antiseptic, anti-fungal, anti-bacterial & anti-viral properties. An extremely versatile herb, known throughout the ages as the “healing herb”. Renowned for its calming & soothing effects. Dried leaves of the Lemongrass herb plant. Lemongrass holds astringent, antiseptic & deodorising properties. Excellent for improving poor circulation & energising the skin. Dried leaves & stems of the Nettle herb plant. Nettle holds strong astringent properties. Excellent for stimulating circulation. Packed with vitamins, a healthy tonic for the skin. A dried lichen/moss collected primarily from the oak tree. Oakmoss holds antiseptic properties. Mainly used to perfume cosmetic preparations as it has a strong floral scent. Dried leaves & stems of the peppermint herb plant. Peppermint contains large amounts of menthol, an analgesic & calming substance. An anti-bacterial tonic, promotes a cooling effect on inflamed & irritated skin. Dried red berry like fruit of the rose bush. Rosehips hold a high concentration of Vitamin C, restoring & regenerating tissue. Rosehips have been proven to significantly slow down the ageing process. Dried leaves & stems of the Rosemary herb plant. Rosemary holds powerful stimulating & astringent properties. A restorative skin tonic, increasing blood flow & circulation. The dried leaves of the Pelargonium (Geranium) plant. Rose Geranium holds anti-fungal & anti-inflammatory properties. Useful in the treatment of dry skin conditions. Balances sebum, controls over production of oil, promoting even skin tone. The dried flower petals from the rose bush. Roses have been known throughout the ages as the “Queen of flowers”. Excellent for the skin & the soul. Roses have long been used in skincare, the petals hold mild astringent properties stimulating & tightening the skin & healing blemishes. The exquisite perfume of the rose truly delights the senses. The dried leaves of the Sage herb plant. Sage holds potent healing qualities, known throughout the ages as the “saviour herb”. Antiseptic, analgesic & anti-inflammatory, preventing infection. Sage promotes rapid healing of the skin. A ground powder & chips from the wood of the sandalwood tree. Sandalwood holds powerful antiseptic & mild astringent properties. Renowned for its soothing qualities, it is useful in the treatment of dry skin conditions. Dried leaves & stems of the Yarrow herb plant. Yarrow holds strong astringent properties which enable skin cleansing, remove dead cells & assist in closing pores. Organic Calendula herb, infused in an alcohol based tincture, forming an extract. Calendula holds strong antiseptic & anti-fungal properties, excellent for dry skin conditions. Organic Chamomile herb, infused in an alcohol based tincture, forming an extract. Chamomile holds anti-inflammatory properties, calming & soothing the skin. Grapefruit Seed Extract is a non-toxic, non-irritant & water-soluble compound which protects cosmetic products from bacterial & fungal attack. A natural preservative made from the seeds & pulp of the grapefruit, a heavy, viscous yellow in colour liquid. Organic Nettle herb, infused in an alcohol based tincture forming an extract. Nettle holds strong astringent properties. Excellent for stimulating circulation. Packed with vitamins a healthy tonic for the skin. A resinous substance collected by bees from the leaf buds / barks of trees. Infused in an alcohol based tincture forming an extract. Propolis contains proteins, amino acids, vitamins & minerals. Stimulating to the bodies immune system, anti-inflammatory, anti-microbial & anti-viral properties. Propolis is an extremely potent healer. Pure & fresh rainwater obtained from the heavens above, rehydrates skin cells & is present in all our moisturising creams & cleansing products. Flower heads / petals / herbs infused in pure rainwater & strained off, forming a large herbal tea. Infusions are made from the parts of the plant which readily release their aromatic / healing qualities into boiling water. Rosewater is a byproduct of the steam distillation of fresh rose petals in the extraction of rose oil. Roses have long been used in skincare, the petals hold mild astringent properties stimulating & tightening the skin & healing blemishes. Organic thyme herb, infused in an alcohol based tincture, forming an extract. Thyme holds antiseptic properties & is an excellent facial tonic which encourages blood flow to the surface of the skin. The dried bark & leaves of the Witch Hazel plant are steam distilled to obtain an extract. Witch Hazel holds antiseptic & astringent properties, & has a favourable effect in soothing blemished skin. Inhibiting excess sebum secretion, Witch Hazel assists with the reduction of large pores & helps tighten the skin. Beeswax is secreted by Honey Bees & forms the cell walls of the honeycomb. Beeswax softens, soothes & nourishes the skin acting as a mild astringent & moisturiser. It also acts as an emulsifier, helping to keep water & oils combined in a cream base. Bicarbonate Soda is a naturally occurring, white in colour, water soluble compound. Commonly known as ‘Baking Powder’, Bicarb Soda is an effervescent powdery substance (creating a fizzing effect when added to water). Fantastic for cleaning, deodorizing & softening the skin. Also acts as a ph stabilizer & water softener. Citric Acid, as the name suggests, is a natural acid extracted from citrus fruits. Produced by the fermentation of crude fruit sugars, white & sugary in appearance. An effervescent substance (creating a fizzing effect when added to water) lovely to bathe in & assists with the balancing of ph. French Clay is extracted from a depth of 40-60m on the banks of clean non-polluted rivers in Northern France. It is then sun dried where the valuable healing properties of the clays are increased. Rich in minerals, clay contains enzymes, magnesium, kalium, sulphur, phosphorus, manganese, calcium, iron, natrium, zinc & chlorophyll which are absorbed by the skin & easily assimilated into the bloodstream. The most absorbent of all the clays, excellent in the use of face masks for the treatment of problem / neglected skin. Green clay cleanses, exfoliates & softens the skin. Excellent for drawing out toxins. Suitable for all skin types. Extremely cleansing & toning to the skin. Pink clay refines, softens & improves the texture of the skin. Suitable for all skin types. High in iron & rich in minerals. Red clay gives the skin a boost & assists with broken capillaries. Suitable for all skin types. Cocoa Butter is extracted from the roasted beans of the Cacao Tree. A solid, fatty substance which is rich in glycerides - oleic, palmitic & linoleic acids. An extremely moisturising emollient , melting at body temperature, softening, soothing & protecting the skin. Excellent for dry skin conditions. Lanolin is extracted from sheep’s wool. A multi-purpose moisturising & emulsifying substance, yellow in colour & widely used in cosmetic preparations. Lanolin is readily absorbed by the skin, acting as a natural barrier, protecting & leaving the skin feeling soft, supple & nurtured. Linseed is commonly known as ‘Flax’. A wild growing herb, which produces a small pea like fruit, containing, in separate cells, ten seeds (linseeds). The seeds are dark brown in colour, with a shiny & polished appearance. Linseeds are soothing & cooling to the skin. Milk Powder is manufactured from fresh, quality whole milk, & then gently spray dried through a two stage spray drying process. Lecithin is then added which improves the powder’s dispersion characteristics. Milk Powder is cream in colour & is soluble in water. Extremely softening & moisturising to the skin, Cleopatra was said to have bathed in milk. Emulsifying Wax is a medium primarily used for the blending of cosmetic moisturisers (a substance which makes creams, creamy). It binds oil & water based products together, to form a cream, improving the consistency & texture. It also acts as a mild stabilizer & thickener. In appearance, the wax is pearly white, pastille pellets. Emulsifying wax is synthetically manufactured, a biodegradable, non-toxic blend of fatty alcohols & non-ionic surfactants. An ancient method of natural healing - a universal energy. Reiki involves direct application, simple hands-on-healing, which takes place without conscious effort. All staff members employed at Mother Earth Aromatherapy have received Reiki Attunements. Once been initiated with this energy, it then flows naturally & constantly through the hands, therefore whatever is touched is infused with this powerful & positive healing vibration. Crystals are used as healing tools, omitting a fine vibration of energy, working in a similar way to Reiki. Rose Quartz Crystals hold a potent love/nurture vibration, associated with the heart charka. It is pink in colour & is one of the most valued varieties of quartz. Often called the 'Love Stone', rose quartz inspires feelings of love, easing emotional imbalances & removing negativity. All Mother Earth products are infused with the energy of rose quartz crystals. Shea Butter is extracted from the nut, found in the fruit of the Shea Tree. An age old product that African people have been utilising for many years. A white thick, butter like substance, melting into the surface of the skin upon application. Extremely rich, nourishing, softening & moisturising. Excellent for dry & damaged skins. Glycerine is a natural substance obtained from vegetable fats. A clear, colourless, odourless & syrupy liquid. It holds emollient properties & is a foaming agent, which makes it extremely effective in facial cleaning products, allowing the product to be easily removed from the skin. Glycerine softens & soothes the skin. Walnut Shell, commonly known as Agrishell, are the ground shells of the walnut, which act as an exfoliant, aiding in the removal of dead cells from the surface of the skin. Wheat is the most versatile grain known to man kind, for many centuries wheat has been known as 'The Staff of Life', a storehouse of health giving nutrients. A grass that is cultivated around the world, the wheat grass produces heads that contain the wheat kernel. A head of wheat develops 20-40 kernels (seeds), turning gold in colour when ripe, then harvested by combine machines which separates the grain from the stalk. Resulting in wheat grain.